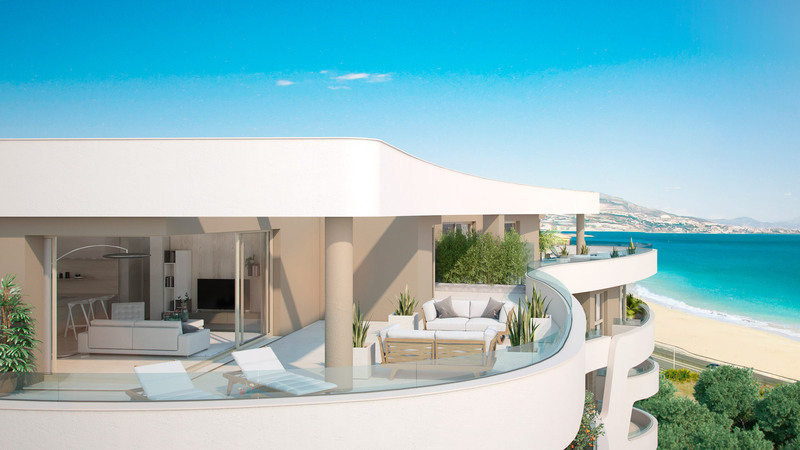 A recently launched new phase of modern luxury apartments located above the popular coastal town of La Cala de Mijas. This brand new release of 32 2 & 3 bedroom properties forms part of a well established residential area with great local amenities.The stylish homes include some penthouses with built in jacuzzis and spacious garden apartments. Many of the units have stunning sea and golf views. Residents can also make the most of the excellent common areas with landscaped gardens, adults’ and children’s swimming pools with wooden sunshades, a children’s play area, padel tennis courts and a gym area. The project is ideally located in a secure environment where families can relax and enjoy dream surroundings within minutes of the beach. The amenities, shops, bars and restaurant of La Cala de Mijas are within walking distance. The development is also only a short drive to the picturesque and historic Mijas Pueblo and 20 minutes from Malaga International Airport.